Dental problems are never enjoyable. Common dental issues range from bad breath and crooked teeth to tooth decay and gum disease, but there is some good news. You might not be aware of this, but most common oral health problems can be prevented! By educating yourself on proper oral hygiene and common issues that people face, you can help prevent oral health issues. If you are wondering what the most common dental problems are and how to avoid them, keep reading! Also known as halitosis, bad breath is a common but extremely embarrassing dental problem. However, something you might not be aware of is that 85% of people with constant bad breath actually have a dental condition to blame. This can range from gum disease and bacteria on your tongue to cavities and oral cancer. You can use mouth wash and gum to mask the bad breath temporarily, but you will want to see your dentist to rule out the other conditions. Another common oral health problem is tooth decay. Also known as a cavity, tooth decay is actually the second most prevalent disease in the country aside from the common cold. When plaque combines with the sugar or starches that you eat, an acidic substance is produced that erodes your tooth enamel. In order to prevent tooth decay, you should be sure to brush your teeth twice a day and floss regularly. You can also avoid foods that are high in sugar and schedule regular dental visits to prevent tooth decay. An unattractive smile might not be classified as an oral health issue, but it can still be solved with dental treatment. Whether you look into traditional braces or something like Invisalign, you can fix your crooked smile and gain more confidence with a little help from your dentist. Those with yellowed teeth can also look into professional teeth whitening and people that are missing teeth can consider dental implants. More commonly known as gum disease, this is one of the most common dental problems that people face. This is an infection of the gums that surround your teeth and can result in tooth loss if not treated. While smoking and diabetes can increase your risk for gum disease, brushing your teeth twice a day and getting regular checkups at your dentist can help prevent this oral health problem. You might not realize it, but emergency trips to the dentist are quite common. Common dental problems such as a broken or cracked tooth, lost tooth, or an abscessed tooth are all reasons why you might need to make an emergency trip to the dentist. If you find yourself in this situation, you want to be sure your dentist has the knowledge and experience necessary to treat you. At DDS Root Canal, we offer a variety of dental services to help combat common oral health problems. Those struggling with an unattractive smile can come to us for teeth whitening and Invisalign, as well as dental implants for missing teeth. For dental emergencies, we also offer root canals and other restorative services. 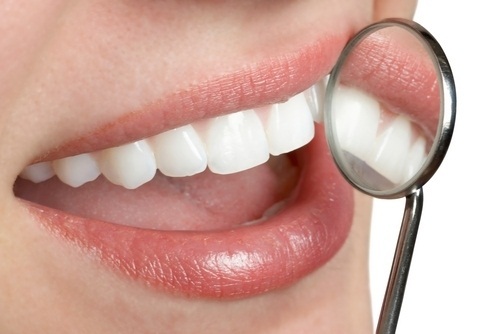 If you need dental services in Great Neck, NY, trust DDS Root Canal to get the job done right. Contact us today to schedule your appointment!